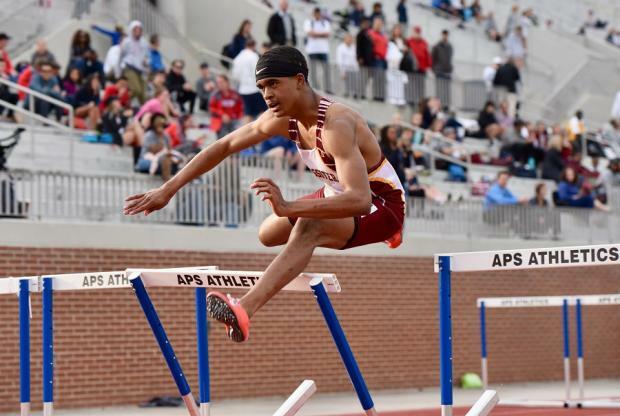 The Coaches Invitational, as one of Georgia's premier meets, once again did not disappoint. 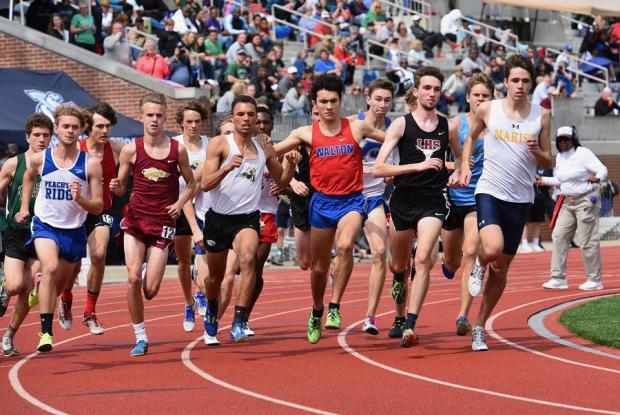 The Coaches meet is a format geared to highlight individual events and Relays, which were definitely about "TEAM" as evidenced by the intensely competitive Boys 4x400, 4x800 and 4x1600. 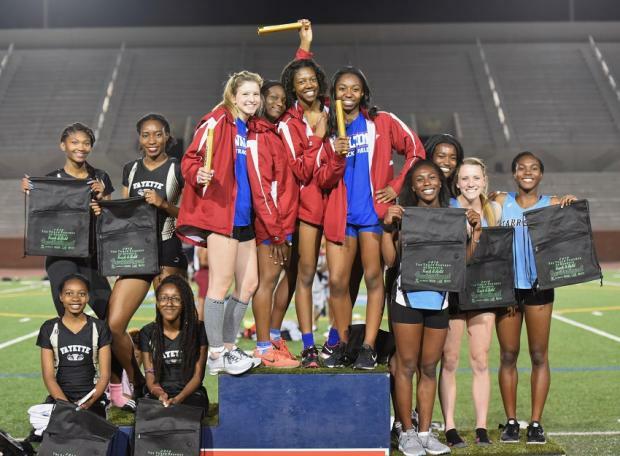 Many of the top athletes in Georgia pushed it on the track, especially in the Relays on both Friday evening and Saturday. 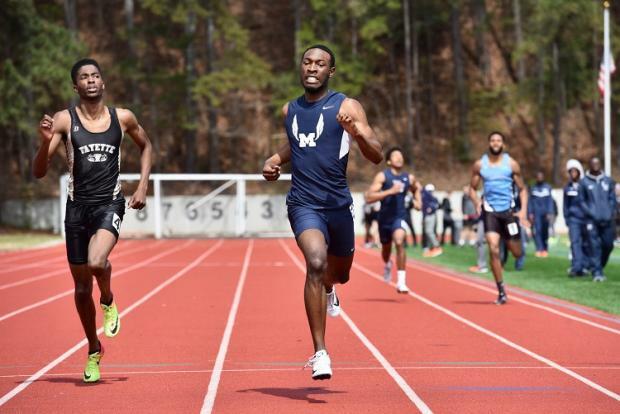 Seventy-seven MileSplit Silver Elite performances were achieved. GATFXCCA Vice-President Cathi Monk, the meet director, put her Pope athletes to work. Walter Pinion did an excellent job on the PA during the meet. MileSplit Ga's Matt Almand was onsite shooting all the Race Action, along with cover shot artist Daniel McCauley at trackside, working his mojo as usual with his photos. 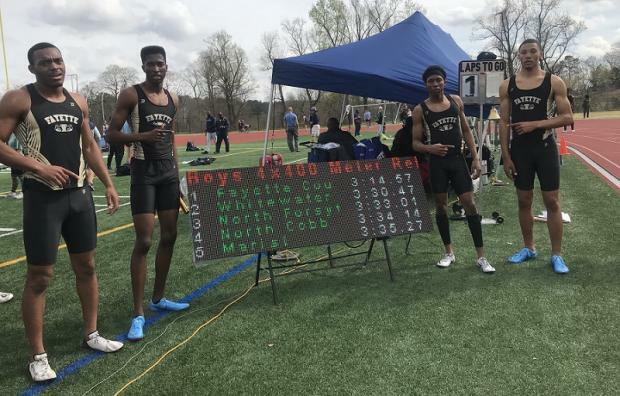 The Boys 4x1600 is always a featured event at the Coaches Invitational, but this year's version had a bit of confusion to it. 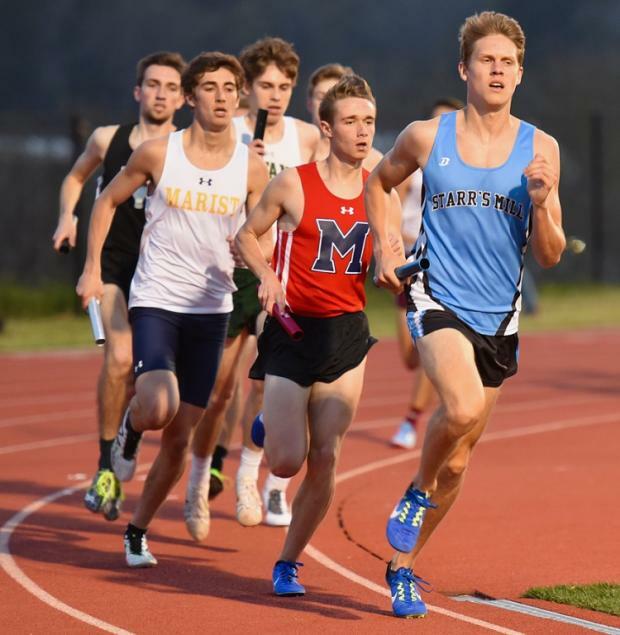 Marist took control of the race on Leif Andersen's strong 4:18ish 3rd leg, but he ran a 5th lap because none of the 4th leg runners had yet been sent out onto the track when he came by at the end of his 4th lap. 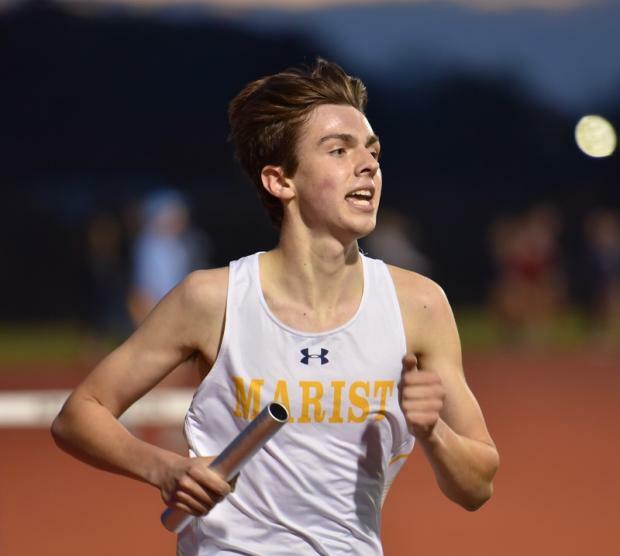 Marist was on pace to shatter the #1 time on the 4x1600 All Time Bests list compiled by gatfxcca.com, but Milton was the eventual winner going 18:05 because Marist was DQ'd for the third leg running a 5th lap. Reportedly, and not unexpectedly, much disappointment and drama ensued - I saw the video and no 4th legs were on the track to receive the final exchange when things went awry. 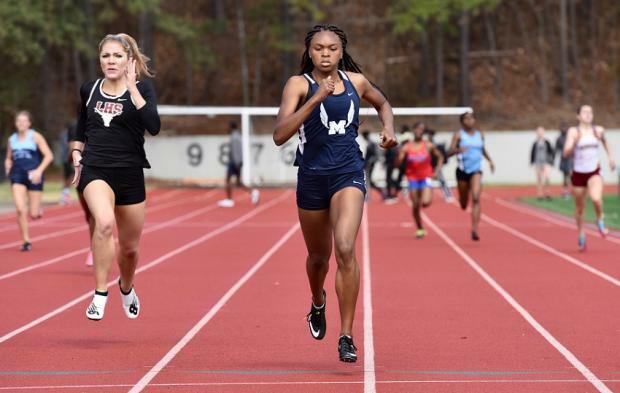 In the Girls 400m Elite, Stering Lester from Marietta HS turned in the #1 400m time in Georgia, going 54.41, and she won the HJ with a bar of 5-6. Word is, she may be graduating a year early and moving on up to the Collegiate ranks. 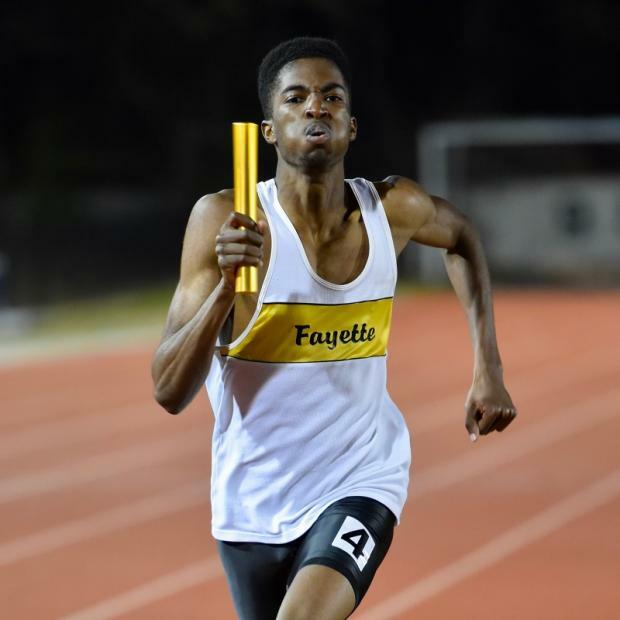 Fayette County Boys had an incredible meet - on Friday night, 'Under the Lights', they turned in a 1:29.60 in the 800 Sprint Medley Relay, and, followed that, with an even more impressive race on Saturday, as they won the 4x400 (not in the fastest heat) with no one to push them, and turned in the #4 MileSplit USA (current) time of 3:14.57. 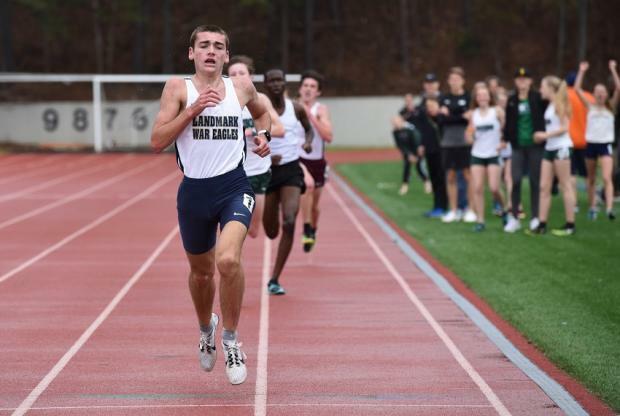 In the Boys Emerging Elite 3200m, Zack Truitt of Landmark Christian showed maturity and discipline as he ran a tactical race, biding his time behind the leaders before launching his attack on the final lap and winning the race in a PR time of 9:47.43. The Boys 1600m was a great race with 4 guys going sub 4:25. 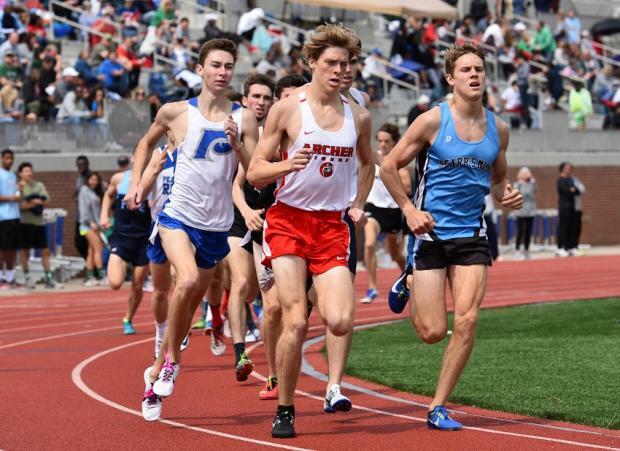 Nick Nyman of Starrs Mill emerged victorious, with a photo finish winning time of 4:19.13, just nipping out Tyler Fox of Lambert at 4:19.51. Griffin McCauley of Paideia took 3rd with an exceptional race, posting a 4:21.99 and breaking the Python's school record in the event. 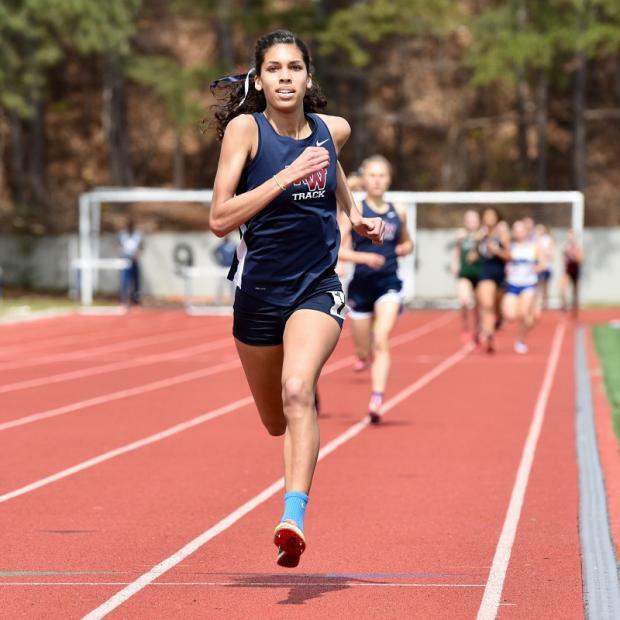 In the Girls 3200m Emerging Elite, Erin Fegans of Landmark Christian held off Sierra Wehrenberg of Hillgrove for the win in 11:22.87. 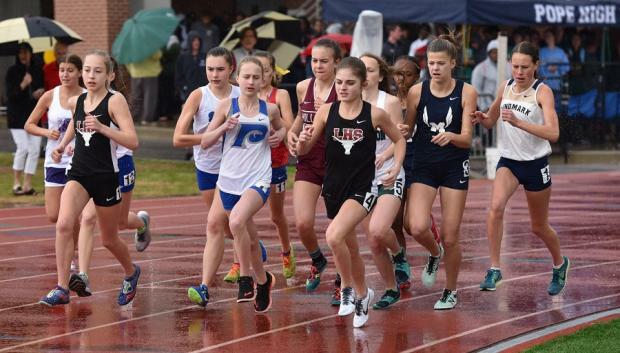 It began pouring rain before the race began and a big thanks goes out to Paideia, for providing a tent at the top of the stadium for MileSplit GA's videographer! 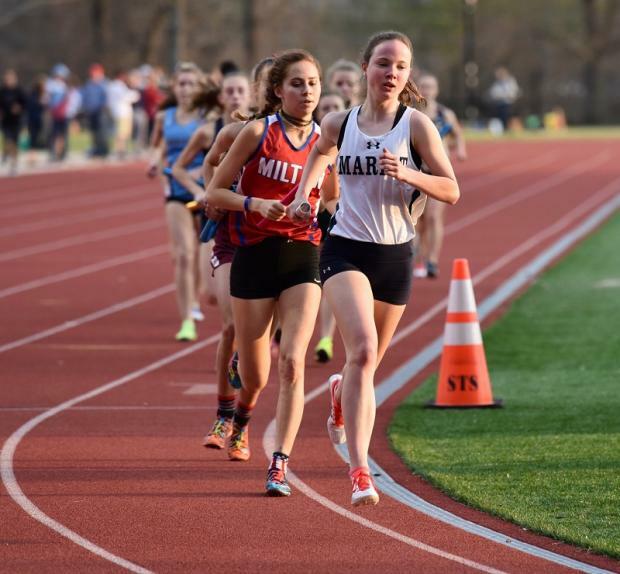 The Girls 1600m race was stacked as 8 gals earned MileSplit Silver Elite times (too bad Turbes and Block did not compete). Woodstock's Brynn Sumner (who has a PR of 4:56.65) took the win at 5:01.50. 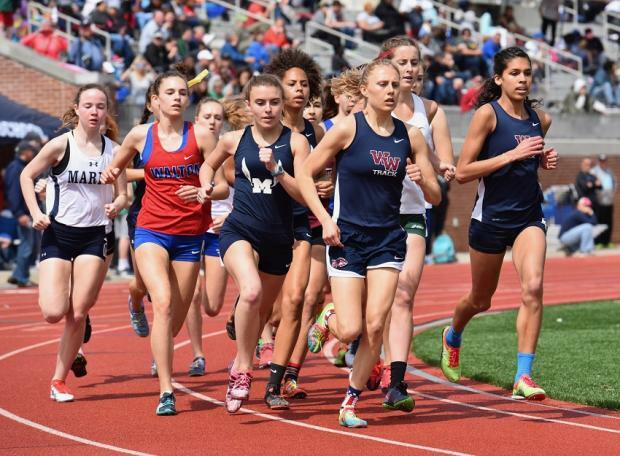 The Girls 800m Sprint Medley Relay was very exciting as Walton took the win in 1:46.87. 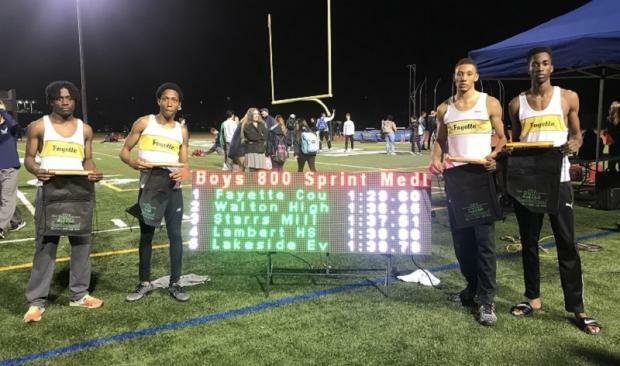 Other squads earning the MileSplit Elite standard were Fayette, Starrs Mill, South Forsyth, and Lakeside Evans.